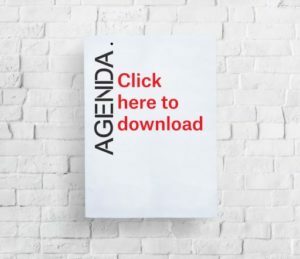 The agenda for WeR Global 2019 is available here. 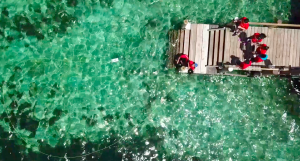 Flying Labs from a dozen countries in Africa, Asia, Latin America and Oceania will discuss their latest efforts and lessons learned in solving local problems through inclusive participation. We will also learn how practitioners are saving lives by providing early warnings of shark attacks; how seasoned journalists in conflict zones are drawing on an entirely new perspective and form of storytelling to the highlight the needs of at-risk communities; how food security experts are improving their forecast models for small-holder farms and how disaster responders are accelerating their assessment efforts in near real-time. Equally importantly, we’ll actively form new partnerships to bring these new solutions to more Flying Labs and beyond. And that’s not all. We’ll also learn from some of the world’s leading public health professionals about how they are reaching the most remote communities in Africa, Asia, Latin America and Oceania to provide with life-saving health services. In addition, we’ll learn how plastic and other wastes are being removed from polluted rivers, lakes and coastlines in more efficient ways. We’ll also hear from practitioners who have found far more effective ways to identify and fix water leaks in order to better preserve the precious water on our planet. Furthermore, we’ll learn how aging farmers are able to continue managing their crops in a manner that is less physically demanding. And we’ll learn how new data platforms are democratizing access to remote sensing imagery to help inform local decisions across multiple sectors. Again, we’ll draw on these insights to discuss how these leanings and opportunities can be localized across the Flying Labs network and beyond. The closing Keynote for WeR Global 2019 is the celebrated futurist and science-fiction author, Malka Older. Malka also has more than 8 years of professional experience in humanitarian aid and development. She was named Senior Fellow for Technology and Risk at the Carnegie Council for Ethics in International Affairs. This unique meeting will be kept small (under 50 participants) to maximize interaction and learning. As such, WeR Global is invite-only. The list of invited organizations is available below under “Who”. That said, we are holding a select number of spots for external experts to join us. If interested, kindly fill out this form by February 1, 2019. Stay tuned for more announcements on WeR Global 2019 by following us on our website, social media pages, and google group. 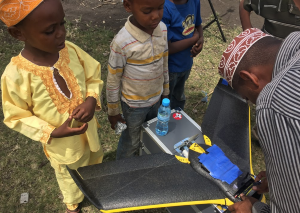 The shift from manually controlled technologies to more autonomous and intelligent systems has important implications for stakeholders working in humanitarian, development, health and environmental projects around the world. Robotics is already leading to significant gains in productivity and efficiency in other industries. The ability of robotics to radically scale human work is what makes this new technology so important for social good projects. At the same time, like other emerging technologies, the introduction of new robotics solutions does present important challenges. It is therefore essential that participation in determining needs be inclusive along with the use of these new solutions to meet those needs. WeRobotics Global brings together leading practitioners working at the intersection of the social sector and emerging technologies. Participants collectively address common challenges and future trends as a community with shared values and principles. The purpose of WeR Global is to catalyze new partnerships and to localize meaningful projects while exchanging lessons learned along with best practices — all in open, transparent and honest manner. In so doing, participants will highlight some of the most promising projects and profound failures they have experienced along with the main lessons learned, continuing challenges and future trends. 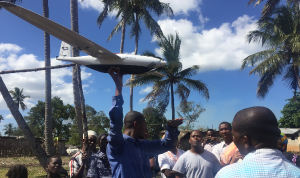 To kick off these open discussions, the convening will include short talks from leading humanitarian, development, environmental and public health professionals along with input from leading robotics experts and companies that specialize in aerial robotics (drones), marine robotics and terrestrial robotics. This unique meeting will be kept small (under 50 participants) to maximize interaction and learning. Representatives from the following groups have been invited with the vast majority of them already confirmed: Flying Labs from a dozen countries, The Rockefeller Foundation, Hewlett Foundation, Autodesk Foundation, Gates Foundation, Atlassian Foundation, Omidyar Network, World Bank, Inter-American Development Bank, USAID, Australia’s DFAT, World Economic Forum, Vulcan, Columbia University, Johns Hopkins, Stony Brook, UPenn, MIT, Nethope, Village Reach, Consultative Group on International Agriculture Research (CGIAR), World Mosquito Program, DataKind, Hover UAV, Bloodstream, senseFly, DJI, Amazon, ESRI, Pix4D, DroneDeploy, Picterra, Radiant Earth, OpenROV, WasteShark, Duke Marine Labs, Australian Center for Field Robotics, Robot Missions, WatchTower Robotics, Swissnex and more. WeR Global is invite-only. We are holding a select number of spots for external experts to join us. If interested, kindly fill out this form by February 1, 2019.